You’re guaranteed a good time! Peppery are again working with the Bangladeshi Support Group to programme the main stage at this unique event which celebrates the diversity in Ipswich and Suffolk as a whole, bringing communities together through music, dance, arts and crafts, and food in a fun environment. See www.bscentre.org for details. 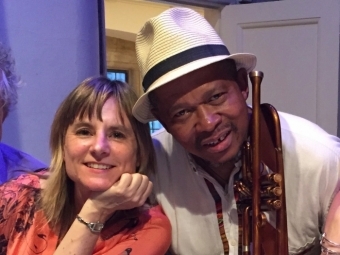 Acts include Monica Vasconcelos with her Vintage Brasil band, with upbeat Brazilian sounds, and African rhythms from Nii Okai Tagoe's West to West (pictured here). For the 8th year running, Ipswich's annual free festival of world music brings the best world and roots music and dance to the perfect setting of Christchurch Park. 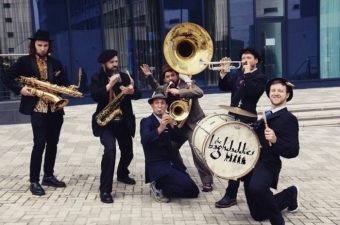 This year on our Martin Burley Peppery Stage we have a packed programme that includes Reggae, Afrobeat, Bossanova and Gypsy rhythms from a stellar lineup that includes Hackney Colliery Band, Tatcho Drom, Soothsayers, Full Attack Band and Derito. GLOBAL RHYTHM - Now in it’s 6th year, Ipswich's annual free festival of world music is a colourful and exciting celebration of worldwide culture, showcasing the best world and roots music and dance in the perfect setting of Christchurch Park. This year the Peppery Stage has been renamed in memory of Martin Burley, a founding member of Peppery Productions, to recognise his contribution to the musical life of Ipswich and Suffolk. 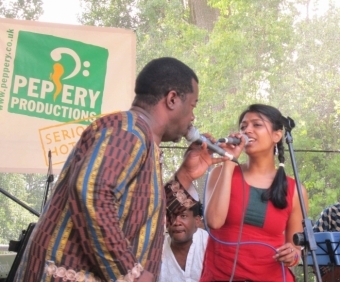 The lineup on the MARTIN BURLEY PEPPERY STAGE includes Ska, Country, Afrobeat, Bollywood and more. There’s rollin’ reggae and skankin’ ska from the GOLDMASTER ALLSTARS. In a treat for Americana fans THE WANGFORD FOUR will feature HANK WANGFORD and one of the world’s finest pedal steel players BJ COLE. South Indian violin star JYOTSNA SRIKANTH joins BOLLYWOOD BRASS BAND on stage for their “CARNATIC CONNECTIONS” show. 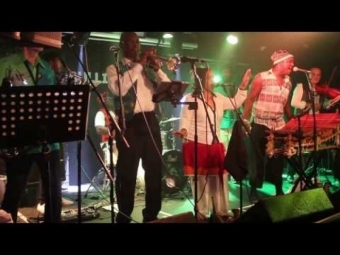 And to round off the afternoon DELE SOSIMI'S AFROBEAT ORCHESTRA will bring their joyous and uplifting sounds to the park. 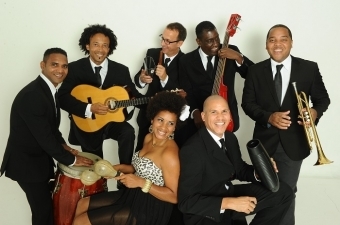 Son Yambu play authentic Cuban Son, the intoxicating fusion of Spanish and African music that gave rise to Salsa. They give this irresistible music a contemporary edge, bringing their audiences a truly sensational, authentic Latin music experience.